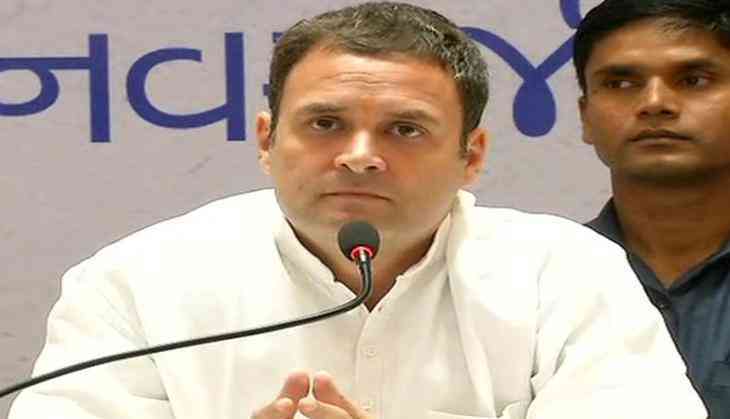 After failing to form a government in three northeastern states of India in the recently-concluded assembly polls, Congress President Rahul Gandhi on Monday said that the party accepts the people's mandate. Taking to his twitter handle, the Congress President said that they are committed to strengthening the party across the region and will strive to win back the lost trust of the people. He even thanked the party workers for their efforts in the assembly election of Tripura, Nagaland, and Meghalaya. "The Congress party respects the mandate of the people of Tripura, Nagaland, and Meghalaya. We are committed to strengthening our party across the North East and to win back the trust of the people. My sincere thanks to each and every Congress worker who toiled for the party (sic)," Rahul tweeted. Despite having the highest share of seats in the recently held Assembly Polls in Meghalaya, the Congress is unable to form the government, as the National People's Party (NPP)-led coalition bagged 34 seats, thus claiming stake to form the state government under the leadership of Conrad Sangma. Showcasing a remarkable performance, the Bharatiya Janata Party (BJP) and allies swept - Tripura and Nagaland with a thumping majority. Why is there silence surrounding 'suicide' of Junglenama author Satnam?